Iranians shopping for the new year celebration of Nowruz. 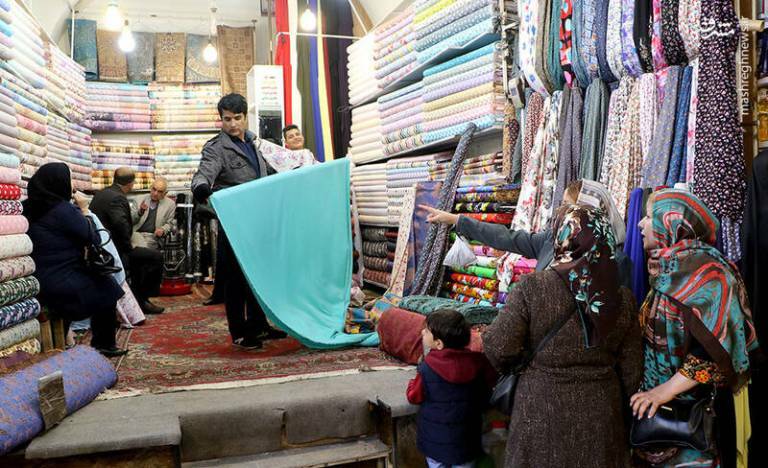 On 19 March 2019, state-affiliated media reported that the Supreme Labor Council (SLC) in Iran increased the monthly national minimum wage by 36.5% to 1,566,882 IRR (≈120 USD) – a figure that cannot cover the basic costs of living. The Iranian workers had already been voicing concerns about the low national minimum wage for about a year. After the withdrawal of the United States from the Joint Comprehensive Plan of Action (JCPOA) in May 2018 and the reinstatement of US economic sanctions, the Iranian Rial (IRR) fluctuated greatly with the national inflation rate increased to an all-time high. The Iranian Rial (IRR) reached a record low in the months of Sept 2018 with the unofficial street rate of 1 USD ≈ 140,000 IRR. IRR has since fluctuated greatly with respect to USD but an average price of 1 USD ≈ 130,000 IRR is the street price of Jan to March 2019. With ongoing protest all around Iran, workers demanded that the national minimum wage for 2019 be set at a price that can provide workers’ families with the basics needs of life – their suggestion: 70,000,000 IRR (≈538 USD). State authorities ignored this suggestion and in a celebratory tone announced a 36.5% increase to the 2019 minimum wage. However, the percentage increase does not reflect the dollar value of the workers’ monthly wage and what the money can actually buy in the current market conditions. The dollar value of the 2019 minimum wage of 120 USD per month is even lower than that of 2018 which was ≈222 USD per month. This blow to the workers living basket comes at the time that the Statistical Center of Iran announced the inflation rate of the month prior to this decision at 26.9%. Women shopping for the Iranian new year celebration of Nowruz. The 2019 and current national minimum wage is set at a cutoff that places most Iranian workers below the poverty line. In the summer of 2018, the Research Center of Islamic legislative Assembly announced that the number of people living under poverty line in Iran has increased by 25% compared to the spring of 2018. This center calculated the poverty line cutoff for a family of four for most provinces of Iran at 15,00,0,000 IRR (≈166 USD) which means workers living on minimum wage right now in Iran are living under the poverty line. Throughout 2018, labor NGOs urged the Supreme Labor Council to reconsider minimum wage cutoff in light of changes to the economic conditions, high inflation rate and the changing value of IRR. This request was denied. According to Article 41 of Iran’s Labor Code, the Supreme Labor Council is to determine the minimum wage in accordance with the percentage of inflation announced by the Central Bank of Iran. The adjustments are to be made so that based on inflation rates, and the actual costs of living, the national minimum wage is set at a value that can provide Iranian workers and their families with a decent standard of living including the basic costs of food, housing, and healthcare. The dollar value of the minimum wage that the workers are bargaining for is going lower each year and this is despite the fact that the cost of food and housing has increased exponentially in Iran. In March 2018, independent labor organizations in Iran demanded that the monthly minimum wage be set at 50 million IRR (≈1000 USD[i]). The Wage Committee of the SLC estimated in March 2018 that the living wage of a family of four (two adults, two children) is 26,698,000 IRR (≈533USD). The SLC, however, set the minimum wage for 2018 lower than the living wage determined by the Wage Committee to a monthly cutoff of 11,106,917 IRR (≈222 USD). Increasing inflation and the government’s resistance to wage increases has emptied the table of wage earners more than ever. 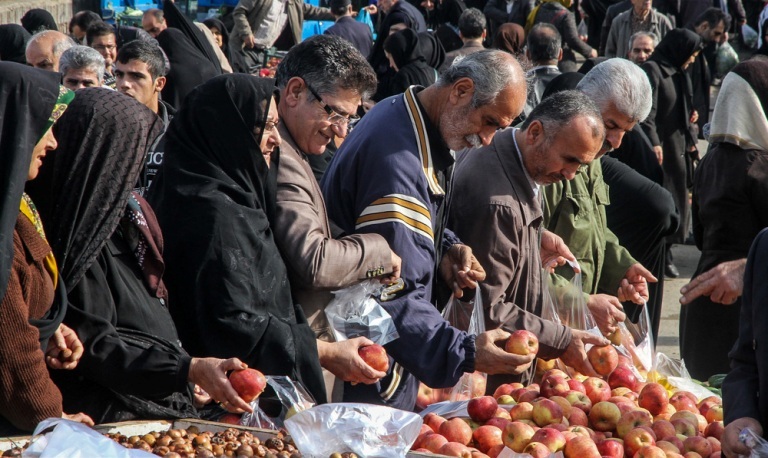 According to the Statistical Centre of Iran, the prices of some food items such as tomato paste, and banana have increased by 227.8% and 168.2% respectively within a year. Bread has increased 25-35% and red meat has become a rarity with over %55 increase in price over the past 12 months. The latest Central Bank report shows that the average price per square meter of a residential unit in Tehran in November 2018 was 91.5% higher than last year. Average rental rates in Tehran have also risen by 17% since November of last year. According to the spokesman for the Association of the Household Appliance Manufacturers, domestic appliance prices have risen by at least 80%, and the cost of imported appliances rose more than 150%. All through 2018 workers have been coming to the streets in various cities of Iran in protests over harsh economic conditions, passed due wages, cuts to benefits and the poverty that has become the reality of most workers’ lives. [i] This is based on March 2018 value of 1 USD ≈ 50,000 IRR.